North Carolina has a huge trucking industry. Northeastern North Carolina’s highways and roads are crowded with many trucks, especially pulp, timber, and logging trucks traveling to and from pulp and lumber mills. US 17, US 64, and US 264 are major routes for trucks and commercial vehicles. Unfortunately, there are many accidents caused by 18-wheelers, tractor-trailers, commercial vehicles, and log trucks. Sadly, at Dixon & Thompson Law PLLC , we have seen our share of people and families whose lives have been ruined by careless truckers and trucking companies who did not emphasize safety. Sanford Thompson used to represent large corporations and trucking companies defending truck wreck cases. Mr. Thompson now uses the knowledge and experience he learned from truckers and their insurance companies to help victims of negligent truckers and trucking companies. The laws and regulations that apply to trucks, truck drivers and trucking companies are complex. Insurance for trucks is very different than car insurance. Trucking companies and their insurers do not try and help people injured or killed by commercial vehicles get full compensation. Contact our truck accident lawyers today to schedule a free initial consultation. Many truck and commercial vehicle accidents we have worked on could have been avoided if only the trucks had been properly maintained; if drivers were not over scheduled and in a hurry to meet deadlines; if the truck drivers had been rested and careful and had obeyed speed limits or if restrictions on truck routes had been properly observed. While we cannot change things after a wreck, we know how to help individuals and their families recover full, fair settlements and verdicts to cover their medical costs, lost earnings, and past and future losses. Our trucking accident attorneys , Sam Dixon and Sanford Thompson have practiced personal injury and insurance law for decades. We have had the privilege to serve families and recover substantial amounts for clients who sustained catastrophic injuries and for families who have lost loved ones in accidents caused by the negligence or recklessness of other drivers. 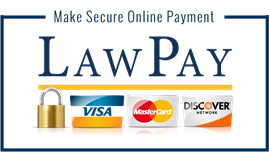 There are special rules and laws which apply to many trucking companies. For example, trucking companies can destroy some records six months after a wreck occurs, so we know it’s critical for us to get to work right away after an accident. We look at driver logs; we check post-wreck drug and alcohol tests; we assess truck maintenance records; we work with experts and meet with witnesses; if necessary we do accident reconstruction; we pursue the insurance companies and corporations until they settle fairly or we take them to court. We are trial lawyers not afraid to take on the biggest corporations and the most complicated cases. If you have been in a crash involving a truck or other commercial vehicle, contact an experienced North Carolina truck accident lawyer at Dixon & Thompson Law PLLC. Accidents on highways and roads are the primary cause of accidental injury and death in America. Wrecks cost the American public billions of dollars every year. Whether caused by carelessness, driver fatigue, lack of attention, speed, or drunk driving, accidents do not just wreck cars they wreck lives. Catastrophic injuries keep people from being able to work and provide for their families and prevent people from spending time with their families and friends. If you or a family member have been in an accident, contact our North Carolina car accident lawyers today for a free initial consultation. At Dixon & Thompson Law PLLC, our attorneys have worked for decades making sure people injured in wrecks get full, fair compensation. Sanford Thompson spent 12 years representing insurance companies. 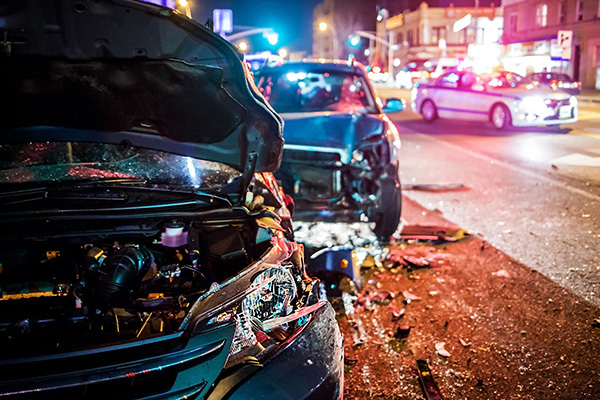 With our insurance experience we know it’s essential to understand and pursue all the insurance coverage available when someone is injured in a wreck. Otherwise, victims of wrecks do not get treated fairly by the insurance companies of drivers who caused the wrecks or by their own insurance companies if they have spent their hard earned dollars for uninsured or underinsured insurance coverage. We also handle cases in which people have been injured on the road in trucking accidents and serious workers’ compensation cases where workers were injured in wrecks. 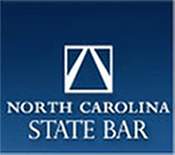 If you have been in a wreck, contact our North Carolina car accident attorneys today for a free initial consultation.